Ontario’s waste electrical and electronic equipment (e-waste) stewardship obligations are being transitioned to a circular economy legal regime. The government-overseen e-waste program is being wound-up and will effectively cease as of June 30, 2020. The program has managed to generate such a surplus of funds from consumers it otherwise would pay the electronics recycling industry that it’s obtained approval from the Ontario government to grant the industry, and presumably in turn, consumers a “fee holiday” in order to expend the surplus. The fee holiday started on February 1st, 2019 and runs until June 30, 2020. This means no eco-fees (or Environmental Handling Fees) on electronics are to be charged and remitted for the next 17 months when the program ends. But what if the electronics supply chain and retailers somehow continue to pass the now orphaned eco-fee down the supply chain and ultimately to consumers in spite of industry’s inability to remit it. Most consumers will not likely be aware of this reprieve in obligation. Most suppliers and retailers have systems already programed to charge the fee. It’s not clear any regulatory authority is actively policing industry on this. So if it’s business as usual in electronics sales, where will the money go and what are the risks? The e-waste program, like all government-overseen plans in the province, funds its ongoing program costs with an eco-fee cost imposed upon consumers. The rates are rigidly set and the supply chain and retail parties simply pass the eco-fee through to point-of-sale and then remit to the program. No risks or rewards are assumed by these parties and there is no opportunity to internalize or otherwise alter the eco-fee for competitive or profit purposes. The fees have not been, and cannot credibly be claimed as, margin adjustments when charged in an identical manner to unwitting consumers. It would be difficult for industry to claim title to the monies, whether as an advance or an investment. The monies are simply consumer overpayments relative to the costs of the soon-to-be-defunct program, and the amount at issue is not insignificant. Orphaned eco-fees which could be passed to consumers during the holiday could potentially be as high as one hundred million dollars. As the e-waste program can no longer accept eco-fees charged after February 1st, 2019, it raises questions as to what proactive measures the electronics industry, including brand owners and importers, must take to ensure no such fees continue to be passed on to consumers who should otherwise be enjoying the fee holiday they’ve effectively funded. Ignorance of the holiday may not protect electronics companies. Through their participation in the e-waste program, industry will be deemed to have knowledge that any post-February 1st, 2019 eco-fees are effectively orphaned. Nor are any parties clearly insulated from risk. Continued charging of the eco-fee by supply chain parties, effectively compelling retailers to recapture the costs from consumers, may also create legal uncertainty. All parties may have a duty of care here. Be Neither Recipient Nor Beneficiary of Orphaned Eco-fees? Resetting systems and processes to eliminate the eco-fee will be laborious. Instead, some parties within the electronics industry may be inclined to accrue the orphaned eco-fee for a future mutually-beneficial use, such as supporting industry-segmented private producer responsibility organizations which will rise from the ashes of the government program. This, however, may appear as industry doing indirectly what it cannot do directly and may not be defensible if and when someone comes asking about the treasure trove of orphaned fees. It’s clear that the 17-month fee holiday journey to a private circular economy model for electronics provides no time off for industry. It must act now to address any unsanctioned charging of orphaned eco-fees. The holiday has already started. 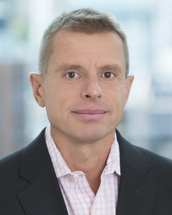 Jonathan D. Cocker heads the Firm’s Environmental Practice Group in Canada and is an active member of firm Global Consumer Goods & Retail and Energy, Mining and Infrastructure groups. Mr. Cocker provides advice and representation to multinational companies on a variety of environment, health and safety matters, including product content, dangerous goods transportation, GHS, regulated wastes, consumer product and food safety, extended producer responsibilities and contaminated lands matters. He appears before both EHS tribunals and civil courts across Canada. Mr. Cocker is a frequent speaker and writer on EHS matters, an active participant on EHS issues in a number of national and international industry associations and the recent author of the first edition of The Environment and Climate Change Law Review (Canada chapter) and the upcoming Encyclopedia of Environmental Law (Chemicals chapter).